Summer is here and it’s a great time for your staff to get some much deserved R&R. But that doesn’t mean your contracts should go on vacation too. 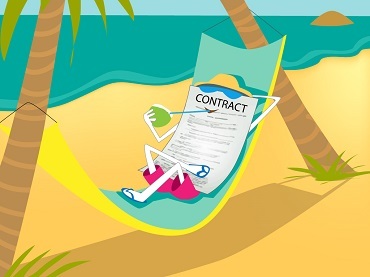 Let CTTG keep your contracts on the job this summer! We can fill in for your staff to temporarily handle their contracts, or provide assistance with over flow so your research and clinical trials stay on track. CTTG's Kate Duffy Mazan will make two presentations at MAGI's Clinical Research Conference in Arlington, Virginia next week. On Sunday, May 17th, Kate will be part of an all-day panel presentation entitled "Dissecting a Clinical Trial Agreement," that will examine the MAGI Model Clinical Trial Agreement from the perspective of sites and sponsors. Kate's presentation will focus on the Data Protection and Intellectual Property provisions of the MAGI model agreement. On November 15, 2013, the Federal Trade Commission (“FTC”) published its final Amendments to Hart-Scott-Rodino (HSR) Premerger Notification Rules (the “Rules”) to expand the authority of the FTC to require additional pre-deal notification and approval of certain exclusive licensing transactions in the pharmaceutical industry. On September 30, 2013, the Supreme Court of India (the Court) ordered the Indian Ministry of Health not to approve any new clinical trials until new mechanisms are in place for stricter monitoring of clinical trials, to ensure greater protection of human subjects participating in those trials. Furthermore, the Ministry of Health will not permit 162 existing clinical trials approved earlier this year to continue until the Court reaches a decision on October 21st to determine if these clinical trials should continue. On December 16th, the Court will hear recommendations from experts in the Indian government, patient advocates, and industry regarding monitoring of clinical trials. Sponsors may have more clarity next week on the regulatory environment for conducting clinical trials in India. The Supreme Court of India (the Court) gave the Indian Ministry of Health until September 24, 2013 to propose new regulations governing the conduct of clinical trials that will ensure the safety of patients and encourage the conduct of trials in India. On June 13, 2013, the U.S. Supreme Court held that isolated genomic DNA molecules are not eligible for patent protection because they are products of nature. In Association For Molecular Pathology et al. v. Myriad Genetics (“Myriad”) the Court considered whether the act of isolating a DNA sequence useful in diagnosing breast cancer renders the molecule different enough to be eligible for patent protection under 35 U.S.C. Section 101. Sweep pre-March 16, 2013 patent filings under the new post-March 16, 2013 provisions for applications containing “mixed” claims. The time to review your patent portfolios and develop a strategy for the new law is now.